The Metallica is native to Southeastern Mexico where it occurs naturally in dense wet forests along the Atlantic limestone slopes up to 2000 feet above sea level and lowland rainforests of Veracruz and Oaxaca which has an estimated population of about 50,000 people. The natural habitat is restricted to a this small area where it is very abundant, however it is now on the endangered species list due to the threat by the expansion of coffee plantations, increasing quarrying and timber cutting activities. This is usually most appreciated in cultivation as an under-story palm. The Metallica also makes an ideal houseplant. 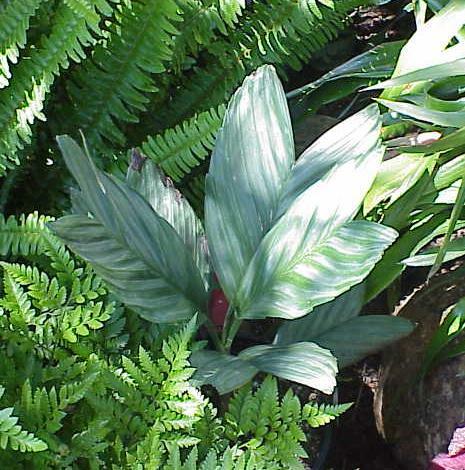 This fishtail-leafed Chamaedorea is unique in the genus for the beautiful, shiny blue-green metallic cast of its broad and it�s double lobed and a deep apical notched leaves sheen from which the plant derives its name. 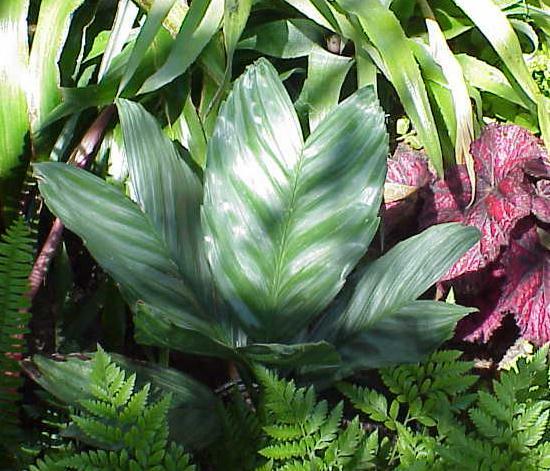 Metallica is very different than most palms with durable leaves that are truly metallic looking and the only known palm with leaves having a blue-green metallic sheen. The leaves grow almost straight up, reaching 12" long and up to 16" wide. There is also a variety that has pinnately compound with 4 to7 leaflets per side which can be linear or curved. The green stems (trunks) are white-spotted with swollen leaf rings and are up to 60 inches tall and up to 1" in diameter growing with a narrow profile. They prefer full shade but will tolerate early or late day sunshine and can be container grown easily. It is most striking when used in mass plantings. 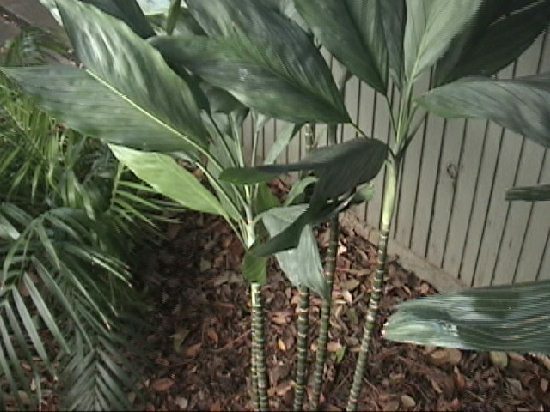 Naturally undemanding for nutrients, Metallica palm responds very well to regular applications of palm fertilizer. They thrive best in evenly moist rich well drained soil and should not be allowed to dry between waterings. Although this plant is on the endangered species list, it is widely cultivated and usually readily available or by special order at palm tree nurseries. They are quite tolerant of cold and can take temperatures as low as the mid 20s with no damage and still look very tropical. Metallic palm has attractive red, purple or orange flowers that yield small black fruits. This palm is a dioecious plant which requires both male and female to produce viable seed which should be planted within 6 weeks of maturity for best results and germination can still be erratic. The Metallica can also be propagated by division of the root mass. The elliptical fruits are about a half inch long. The flower stalk comes from the lowest leaves and the female has a characteristic orange stalk. Protect the foliage of this palm from snails.